This huge handsome bear has a rather rugged appearance and has been created using a dense long piled plush in soft shades of greys and browns. Created using time old techniques, he is fully jointed and has oversized feet with sculptured paw pads. 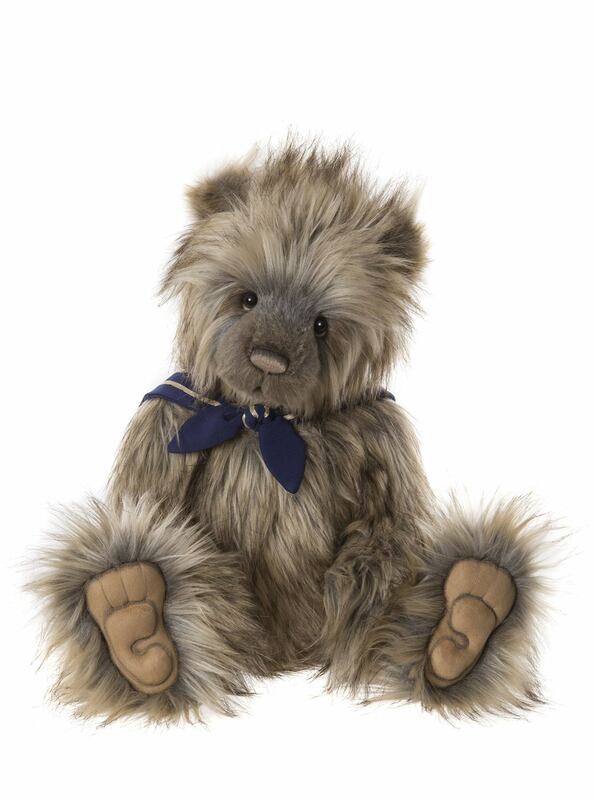 He has our signature “who me?” look and as with all our bears a hand embroidered nose. His accessory is his Victorian styled sailor collar.